Where to get plant seeds and garden accessories in lahore? 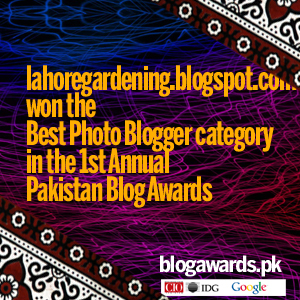 Ever wondered from where to get plant seeds and garden accessories in lahore? No worries, I have prepared a list seeds shop which sell seasonal/permanent flowers seeds . These shops also sell gardening tools, insecticides, fertilizers and various gardening accessories. Sunny View Seed Store Old Club Lahore Mian Muhammad Farooq 04236301925 0321-9401925 They are probably oldest and have got some seeds not available anywhere else including moon flowers. Chanan Din Seeds, Gulberg Lahore Mian Usman 04235763898, 0300-4231410 I think they have got largest bulbs collection in the season i.e in fall and summer bulbs. They got lot of imported packets of veggies and herbs too. Arain Seeds – Kenchi Branch Main ferozpur road Near Kenchi opposite to Pel factory. They also got lots of insecticides, fertilizers, accessories as well. Sometimes stuff not available at one branch is available at other branch. Tayyab Agro Shahdara, Shahdara more near National bank pakistan. 04237915043 They also got lots of agriculture pesticides, fertilizers and plant growth regulators etc. They got lots of bayer products as well as stedec and solax products too. You can also get garden accessories from Metro and Hyper-star but they are a bit expensive. If you see any seeds shops not listed here, please do use the contact form to let us know and we will add it here. The correct number of “More Green seed” is 35875547. Hi, where would I get cuttings or seeds for lavender and rosemary.